*COMMERCIAL POTENTIAL* With limited real estate available in downtown Edwardsville, contiguous lots in the heart of Edwardsville are unique and difficult to find. This listing offers 3 lots, over 1/2 acre, currently zoned residential and used as rental properties that generate $1675 per month. 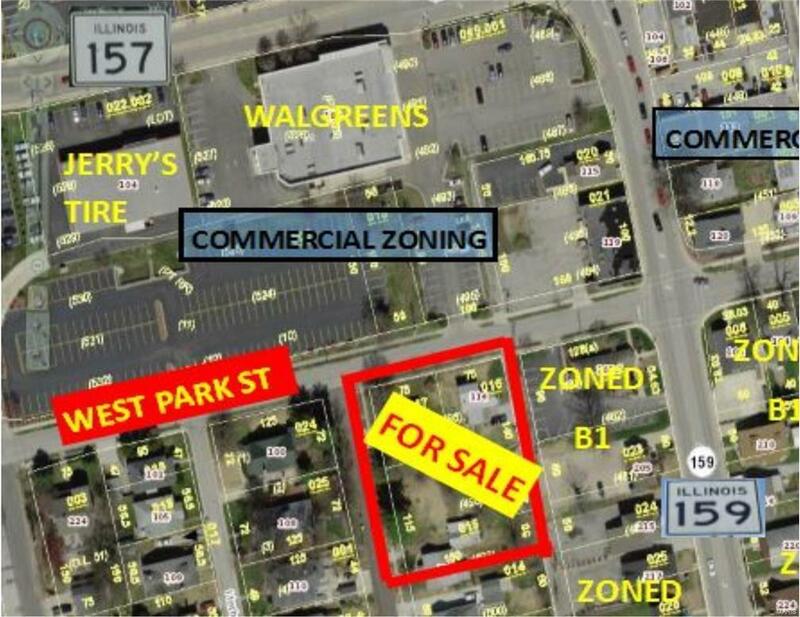 Great location for a commercial development that is surrounded with commercially zoned businesses. Immediately north are Walgreens and Jerry's Tire Shop. Immediately east are B1 properties on both sides of Main Street. 114 W Park, 122 W Park and 214 Monroe with PIN: 14-2-15-11-15-401-015,14-2-15-1-15-401-016, 14-2-15-11-15-401-017 being sold as a package. Within walking distance to county court house, downtown, the library and restaurants. Within 30 minutes of downtown St Louis, within 35 minutes of Lambert International Airport, and within 10 minutes of SIU-E. Buyer to verify all information prior to making an offer. Buyer will need to petition Edwardsville for rezoning of properties.